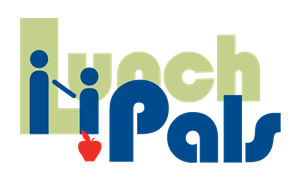 Pinellas County Urban League Young Professionals - Sign Up to Be A Lunch Pal! Sign Up to Be A Lunch Pal! Sign up to mentor a youth through the Lunch Pals program. Across the nation, school districts and school leaders are experiencing overwhelming challenges to educate students and increase high school graduation rates. These challenges are staggering as it relates to students in poverty, particularly African American and Hispanic students. Members of the community, can play a major role to help overcome these challenges, and we can do so at no cost. The result will be a more vibrant community with increased business growth. jobs created over their lifetimes. 1. More opportunities to sell our products locally. 2. Increased local sources of qualified employees. 3. A more vibrant community, making it easier to attract employees from outside the area. be very impactful, that cannot be accomplished without us, but which has virtually no cost?